Easily translate 'ggplot2' graphs to an interactive web-based version and/or create custom web-based visualizations directly from R. Once uploaded to a 'plotly' account, 'plotly' graphs (and the data behind them) can be viewed and modified in a web browser. If you use ggplot2, ggplotly() converts your plots to an interactive, web-based version! It also provides sensible tooltips, which assists decoding of values encoded as visual properties in the plot. If you&apos;d like to see how ggplotly() does in converting different ggplot2 examples, we host a plotly version of the official ggplot2 documentation. We also have some of our own examples here. plotly.js supports some chart types that ggplot2 doesn&apos;t (our cheatsheet provides a nice summary of the available chart types). You can create any of these charts via plot_ly(). 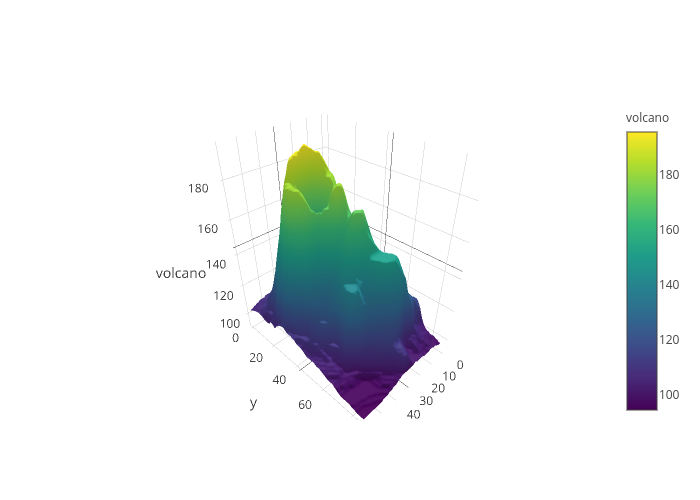 We have a number of vignettes which explain the plot_ly() interface in depth as well as numerous examples on the plotly website and bundled with the package. geom2trace Convert a "basic" geoms to a plotly.js trace. gg2list Convert a ggplot to a list. plotly_empty Create a complete empty plotly graph. signup Create a new plotly account. to_basic Convert a geom to a "basic" geom.